OSCAR DEL BARBA was born in Brescia in 1968. He qualified as a pianist with full marks at Brescia Musical School in 1990 and obtained a jazz and composition diploma (also with full marks) at the Giuseppe Verdi Musical School in Milan. He has approached a range of musical genres (jazz, Cuban, Argentinean, Brazilian music) which, together with his classical studies, have given rise to an original personal style influencing his compositions as well as his improvisation. A new name which the Italian jazz supporters will have to jot down, and they are willing to do it, is: Oscar Del Barba, from Brescia, year of birth 1968, having a piano diploma from the conservatory in his education record (but is currently headed towards a second diploma in composition). In this absolute recording debut of his, he seems especially interested in the planning and compositional part of jazz, and such a choice may conceal risks for an artist who is just at the beginning, but fortunately this is not his case: “Serengeti”, rich in cues and shades, reveals taste and skill. It is a very competent disk, whose “written” part is clearly worthy of note, especially as regards the string quartet accompanying it, made up of first-rate elements from the Venetian orchestra of the La Fenice Theatre. 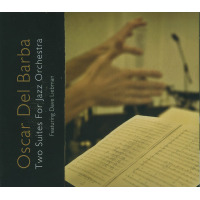 Of course even important passages of pure improvisation flow from the compositions and the arrangements (all by Del Barba).They are called for and give the disk the other part of its excellence, represented by both an inspired Negri and a lyrical and visionary Stockhausen, but also by the leader himself, an exhortative pianist who has body. This group is absolutely fit to give shape to ideas. Del Barba has made dominant music that is refined and relaxed, having references to remote sources (such as the tango), where the rhythmic aspect is little obvious: in short, and Italian disk having a very “ECM” style, to make it clear. In times like these, where everything is virtual and the real power is in the hands of technology, the only means for feeling alive and to keep on dreaming is to pay heed to our emotions, to our feelings. Music has perhaps remained one of the few things that can stir up certain emotions in us, that can arouse that part of us which we thought had gone to sleep for good. Velut Luna meets our demand by producing this CD entitled “Serengeti”, containing nine pieces composed and arranged by Oscar Del Barba. After attaining a piano diploma with the best marks at the conservatory of Brescia, this thirty-two year old musician took great interest in jazz and in composition which have led him to important joint work with several leading musicians from our musical panorama (Francesco Bearzatti, Mauro Negri…). The CD was recorded at the Pollini Studio in Padua in April 2000 and features Mauro Negri as clarinet player, Markus Stockhausen as trumpet and flügelhorn player, the Fenice Trio (composed of Sara Michieletto at the violin, Paolo Pasoli at the viola and Nicola Boscaro at the cello) plus Gian Aldo Tatone at the second violin, besides the author at the piano. There are nine pieces pervaded by a vein of immense melancholy where the acquaintance with popular Argentinean, Brazilian and African music, which has influenced the author’s improvising style, comes to the surface. Of great emotional impact were the second and eighth pieces (“Il mare nel cielo” and “Inverno”, respectively). Very beautiful illustrations matching the titles of the pieces are found inside the booklet. Devil of Lincetto (the producer), mischievous and provoking! Outwitting the tendencies of “normal” record companies, his Velut Luna always seeks the unprecedented, the diverse, the unexpected. We truly like this wave of iconoclast novelty, especially as regards productions, like this one on approval, in which the well-educated contemporary consciously grows pale at consumer music preserving traits of great refinement. Under the stage floodlights is Oscar Del Barba, thirty-two year old composer from Brescia, whose classical vocational training has come to jazz and ethnical music. For this pungent anthology of his, a piano (Del Barba himself), the clarinets of Mauro Negri, the trumpet of Markus Stockhausen (son of Karlheinz, true guest of honour), the Fenice string Trio supported by Gian Aldo Tatone as second violin, have come into action. Which is the underlying theme of the collection? It just doesn’t seem to exist, besides the inclination for pleasant and relaxing music which, starting from a classical background, is influenced one moment by jazz the next by typical oriental sort of harmony. The seven pieces here collected boast very stimulating, evocative titles just like the music however, of different worlds and atmospheres: Jugglers, The sea in the sky, Burlesque, Balkan Rhapsody, Balanço, Winter, Serengeti. All About Jazz musician pages are maintained by musicians, publicists and trusted members like you. Interested? 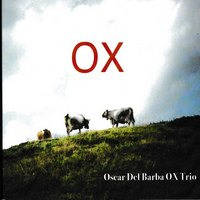 Tell us why you would like to improve the Oscar Del Barba musician page.